One of the most common complaints I see in the Google forums is how does one remove content from Google's search results. Well, there has always been a way to do that, but I guess it was either hard to find (go figure) or too complicated to use? 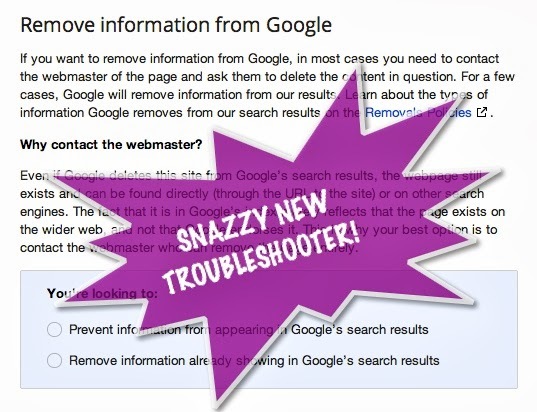 Google's Jessica Schwartz (no relation) has announced on Google+ a new way of removing content from the search results with the new and improved content removal troubleshooter. It is basically a wizard like walk through on how to remove content from Google's index.